I feel uncomfortable speaking about things like “white privilege” and “male privilege” and other forms of privilege. I don’t like debating about them in the form such debates often take (read: Facebook and Twitter wars). The reason I feel uncomfortable is not one you may think. It’s not because I’m (socially understood as) a white male who is unhappy with relinquishing a place high up in the social hierarchy. Far from it. Instead, the reason I feel uncomfortable talking about privilege (which is an important topic for social dialogue) is that so often discussions and arguments take a thoroughly decontextualised, moralistic, self-serving form. Discussions, particularly in the South African dialogue space, are often conveniently stripped of other influencing contextual factors, warped under the agenda of political machinations, and not at all subjected to reflection and consideration. Claims about the need to overcome racial and gendered divides often pre-emptively shut down any critique launched at the strategies being proposed (be it through “oh, this is too academic” or “you’re complicating it” or other such dismissive utterances). My discomfort stems from the very real – lived and academic – and disturbing trend of basing ‘transformation’, dialogue and social justice on identity politics rather than a politics of coalition and reconciliation. Articulating my discomfort has been a bit of a winding journey for me. It started off with a nagging feeling reading about the Renate Barnard case and speaking to Merle Lipton about equality and change in South Africa. It got me thinking about the categories which we employ in the law and in society. Admittedly, I’m not a law student and my understanding of policy and the law is limited to my own research. However, from what I’ve gleaned employment equity in South Africa seeks to advance previously disenfranchised groups including all ‘people of colour’, women, and people with disabilities. Noble, just, and rightly necessary to remedy the wrongs of the past. But I began puzzling over something to which I couldn’t find any easily accessible answers. I was able to voice my query at a Sussex Africa Centre seminar on gender, sexuality and the law in Southern Africa – but no-one was really able to address what I was getting at. The question I posed was: what if someone seeks employment equity on the grounds of their sexuality? Is this possible? Has it happened? Why is sexual orientation not included as a category of “previously disadvantaged”? Interjection: I know that’s a contentious thought. I’ve tried to raise it as a point for consideration on multiple occasions, but it always – frustratingly – gets dismissed. I’ll get back to why I raise it in a moment. The language, the actions, and the social views around change in South Africa centre (on the surface) on correcting imbalances of the past and bringing about an equal society. The treatment of what is now loosely termed ‘the gay and lesbian community’ by the apartheid government and by the liberation movement was nothing short of horrific. The apartheid government explicitly linked the policing of race with the policing of sexuality, and it wasn’t right up until the late 1980s that the liberation movement – and the ANC – shifted its ideology to make way (through much contestation) for the inclusion of “gay rights”. The history of sexuality in the country is incredibly layered and complex, and it is not my intention to reduce it to a simple linear understanding. But what can be said is that there are numerous projects, resources and accounts of the cruelty that ‘gays and lesbians’ faced under the apartheid regime. Stories of the forced labour camps, the electric shock therapy, the rapes, the beatings, the systematised stigmatisation and encouraged social victimisation. “Oh, but gays and lesbians are a minority” – Certainly. But as Chimamanda Adichie reflected earlier this year, “the mark of a true democracy is not in the rule of its majority but in the protection of its minority”. “Being gay or lesbian is an individual choice – there isn’t a real community, and applying the policy to such individuals is more about advancing that individual person” – So completely void of historical understanding. Void of all knowledge of the rich sexual history of the country. This view also fails to take into account the absolute decimation of thriving socio-political communities by Aids, the government, and the lack of social/legal recourse to claim protection and solidarity against both of these plagues. It also fails to take into account the enormous collective psychological trauma of growing up gay or lesbian in South Africa and feeling completely disconnected from any sense of community, feeling ashamed to be a part of a community that is still widely stigmatised, or oscillating somewhere between. “You can’t claim recognition of being a lesbian first and foremost – you would be seen as a woman, or black, in the law. And so you would be entitled to seek advancement within these categories” – Now THIS is starting to get to the heart of it. But I’d first like to point out how incredibly problematic it is to assume which identity or subjectivity a person values ‘most’. There’s something horribly controlling and authoritarian about declaring what someone else is and what someone else must value within themselves, stripping that person of any sense of day-to-day community and agency. This last protest, however, does offer a legitimate realisation that in reality it would only really be gay, white men who would benefit from any sort of adjustment to employment equity views. The common assumption here is that all gay white men are middle-class, well-educated, privileged individuals – very often the case, but wholly ignorant of the reality. Back to my interjection above: it isn’t my intention in this piece to claim, therefore, that all white gay men should be advanced within the scope of employment equity. It’s not my claim that white gay men are the most hard-hit demographic in post-apartheid South Africa, and that focus should be shifted to helping ‘them’. Indeed, the tendency to focus on (white, Western) ‘gay rights’ in other contexts, at the expense of other social problems, is hugely problematic. Neither is it my intention to critique the ‘fairness’ of equity policies – it is vital that we correct the wrongs of the past, and such critiques of ‘fairness’ are better left to legal experts for now. Rather, the intention of this piece and my Renate-inspired-mind-wander is to think about how we view privilege, equality and progress in South Africa. Within the current discourse someone has to categorise themselves as a person of colour and/or a (cis?) woman and/or disabled. And what this speaks to is a rigid hierarchy of identity categories which current strategies of change perpetuate and which current debates allow (even encourage) to fester. This reliance on identity categories and the privileging of certain categories over others is understandable. Natural, even, given the systematic disprivileging of those same categories in the past. I like that phase: ossified outcomes. The hardened, reinforced century-old bones which give skeletal support to our social bodies. But these sturdy categories of understandings are merely the products of hierarchical social structures. The identities, stereotypes and categories do not produce the structures themselves; they are merely the instruments. And so when we uncritically perpetuate categories, and when we create systems based on those categories, and when we undertake noble campaigns which seek to bring about change on the basis of those categories, we are only fooling ourselves. For the structures which give rise to those categories – and thus those pains, inequalities, social ills – still exist. Indeed, we work with them ourselves. Such a realisation is not new. Indeed, many friends reading this have shared similar thoughts and resources about how the fight against white privilege, or male privilege, is about changing the system – about changing the structures. We will always need labels and words to describe, and people will always identify with certain words and concepts. 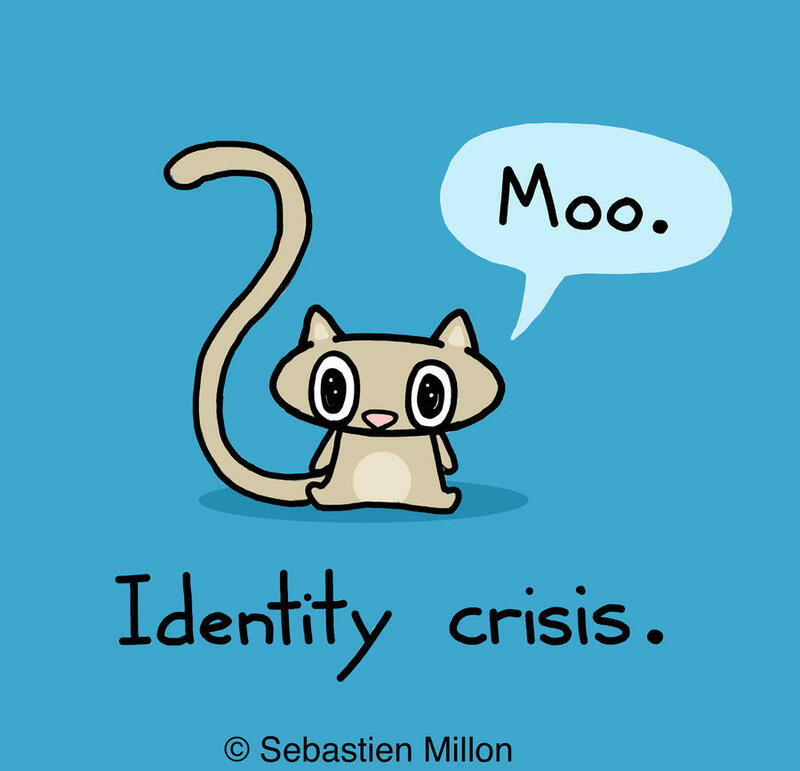 But it is one thing to have identity categories and another to base politics on them. In expressing such realisations, where many of these thoughts and resources fall short is in considering the meeting point(s) of both power, and disempowerment. Privilege, and disprivilege. It is far more comfortable, and comforting, to speak about how “thinking about your white privilege will disturb you – and that’s ok, then you can act” or how “feeling ashamed about your male privilege is okay, because now that you’re aware you can change your actions” because it creates a clear binary between those who do “check” and who are “checking” their privilege, and those who are not. It creates an alliance between the victims, survivors and enlightened ones and sets “us” up against “them” – those not yet enlightened, those who exercise their privilege shamelessly. It’s not comforting to think that some of those ‘others’ may be disprivileged themselves. It’s not comfortable to think that many of ‘us’, we who ‘check’ ourselves so regularly our metaphorical eyes are perpetually rolled back in self-reflection, sclera making us blind to our surroundings, have lived power and privilege over others. It’s easier to divide according to categories than confront the blur that is experience. Discussions of change and privilege in South Africa often rely on a single-axis understanding of identity and discrimination. Race, or gender, or sexuality. The Renate Barnard case made me think of the 1989 case that Kimberlé Crenshaw engaged with – though obviously drastically different in content and context. Crenshaw looked at how the American legal system, in terms of anti-discrimination law, rarely treated black women as self-identified black women – they were either protected under the law as ‘black’, or as ‘women’. But the historical, social, economic and political specificities of experience linked to being a ‘black woman’ were absent, not understood, and disregarded. Crenshaw argued that rather than relying on a privileging of one dimension of inequality or power we need to consider “the multidimensionality of marginalized subjects’ lived experiences”. Crenshaw offered the approach of ‘intersectionality’ – giving a name to a perspective that has existed since the 19th century. With its roots in black feminism, critical race theory, and activism, ‘intersectionality’ is effectively an approach – a sensibility, a viewpoint, a mode of understanding – which is primarily concerned with a critique of social power by considering and working against interlocking forms of oppression. A highly contested term (it’s become a bit of a buzzword in academia), intersectionality is primarily concerned with the politics of power and knowledge production and the ways in which these are implemented in and adopted by society. It’s an activist-driven concept which moves away from identity politics: it moves away from emphasising categories as discreet objects, instead shifting attention to multiple forms of discrimination, power and privilege. And indeed a part of recognising the “multidimensionality” of life is that individuals can at once occupy a space of privilege and disprivilege. Of being empowered and disempowered. These are linked to the underlying structures in society – structures which permeate identities and experiences. Intersectionality as a concept, as a method, and as a framework (many authors and activists had developed models and views about how to do this – Grzanka’s collection is a great resource, as is the special edition of the Signs journal dedicated to the topic) can be employed – should be employed – as a way to critique not the categories of power in South Africa, but rather the structures of power. Change should be based on shifting those structures and speaking to complex experiences rather than on a game of oppression Olympics. It’s natural to expect South Africa to focus on race-related issues. It’s one of the biggest issues from the past, and it’s vital that equity policy address race relations. But I have a real problem not only with how this is often done, but also with how we speak about it. It comes down to the existing structures of power. It’s not that I deny that ‘male privilege’ is real and a problem. It’s not that I deny that ‘white privilege’ is a vile poison that needs to be cured. It’s rather that I feel framing social issues, social change, equity and democracy using this particular framework – or rather, using the framework put forward by many popular interpretations of the concepts – is not conducive to meaningful change. Meaningful change will only come about when we have an honest discussion about the structures of power in society. How you can be a middleclass black man and still have privilege (if we consider privilege in terms of class), but still be disprivileged in terms of race. How you can be an impoverished, cisgendered, able-bodied woman and still have power and privilege – something uncomfortable to consider! – in relation to gender. How, then, do we change those structures? It’s not just a meaningless academic debate: countless projects exist which explicitly employ this intersectional view, rather than a single-axis ‘privilege’ view. Successful, meaningful projects – which are, unfortunately, not widely reported upon because our current language and framework for understanding often don’t allow us to see their value [I’m happy to share resources about the projects if you’d like to read more]. All of these projects share the recognition that key is a shift away from identity-based politics to a politics of coalition: a mode of operation where politics, policies and actions come from values and shared goals. Where identities stem from such politics, and not where politics stem from identities. A privileged view of the world, yes? Perhaps. But one that is adopted successfully in other contexts. One that is certainly positively adopted in debate contexts. It’s a dangerous line, and a potentially volatile proposal. It would be easy to take an ultra-liberal view and interpret the idea that everyone has both privilege and disprivilege as a way to excuse behaviour and not hold people accountable. It would be easy for it to be misinterpreted as apologist. Which is why a thorough framework for consideration would be needed, based on real-world models and a real recognition that the violence of our society, and the inability for a person – for example – to openly declare oneself as gay or lesbian in certain parts of the country without facing severe ‘punishment’ –, are, in part, inextricably linked to our current failure to address the systems which create such conditions of intolerance. When we speak about privilege in our current framework we render those who are not so neatly categorised silent and invisible. We create divisions based on existing structures which facilitate the very privilege and inequality we seek to challenge. And we often fail to engage with other forms of privilege and disprivilege. Where, for example, are the nation-wide discussions about the privileging of South Africanness over Africanness? Over humanness? Of privileging being human over being ‘non-human’? All of these have a real impact on our societies and our ecosystems! That’s why I feel uncomfortable speaking about male privilege and white privilege. It’s not that they’re not real issues. It’s not that we don’t need to speak about race, gender, sexuality. Rather, it’s how the concepts of privilege are utilised and how they’re debated. Discussions and proposed strategies for change often simply reinforce underlying structures. 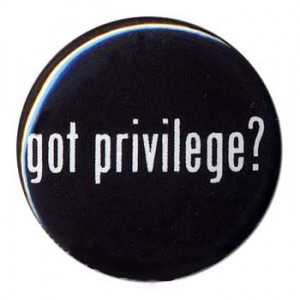 To claim one form of privilege is worse than another reinforces existing hierarchies of power, and makes us complicit in perpetuating those very hierarchies. We need to speak about social issues in a way which does not decontextualise privilege and power (note: re-contextualisation does not ever mean excusing behaviour or apologising – responsibility is as important as reconciliation). Intellectual engagements with privilege-as-concept do not necessarily decontextualise it – it’s just that often in the South African context popular applications and interpretations are guilty of implicit hierarchical imposition. Let’s speak about inequality in relation to the structures which allow that inequality to exist. But beyond that, let’s speak about inequality and structures in an honest way: how we often select and choose who is equal, and how though we may say we are a society committed to positive transformation and full equality we often rely on (and celebrate) structures which fundamentally oppose our goals. And then let’s begin to challenge those structures, and challenge our own actions which allow them to thrive. We naturally need to have priorities – but prioritisation must take the form of an intersectional engagement, or we risk ossifying the structures which shape our current realities. A shift in our view of society and the way we engage is needed. We need to feel enabled to speak out against all forms of inequality – and we need to be empowered to recognise when we are ossifying power dynamics which contribute to disprivilege and disempowerment.